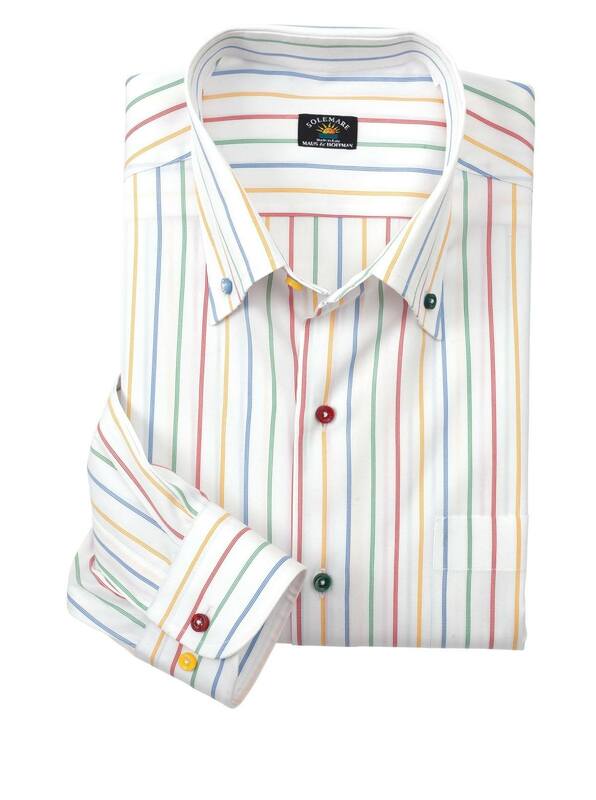 Sportivo Stripe Shirt in pure cotton multicolor pinstripes accented with buttons in a multicolor mix for an extra bit of verve. From our Solemare Collection of fine shirts tailored in Italy of fabric woven in Italy. With button-down collar, long sleeves, single pocket.